Despite clear regulations which rule Terry Antonis out of Saturday’s clash with Melbourne Victory, Sydney FC coach Graham Arnold believes the midfielder should be available for the game at Allianz Stadium. FFA has confirmed that in accordance with the FFA Statutes, players selected for international duty who are subsequently withdrawn due to injury or illness cannot play for their Club during the period for which the Player should have been released. Antonis was supposed to be in Osaka with the Socceroos this week but was forced to pull out after being involved in a car accident on the way to the airport which left the 20-year-old with head and neck injuries. 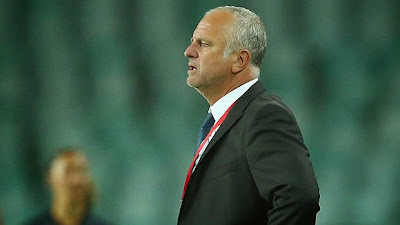 With the midfielder recovering well and passing all of his concussion tests this week, former Socceroo and Olyroo coach Arnold was adamant Antonis is available despite FFA regulations ruling him out of the game. “Our belief is we released him on Friday night after the (Adelaide United) game to go and play for the Socceroos,” Arnold told reporters on Thursday morning. “He got injured or concussed while on Socceroos duty on the way to the airport. We’re looking after the player’s welfare. He’s getting updates every day from the doctor. “The Socceroos staff has opted for him not to travel over on Wednesday so we don’t see any reason why he can’t play. Melbourne Victory are in the same boat as Sydney FC, with skipper Mark Milligan and young defender Scott Galloway both ruled out of national team duty this week for the Socceroos and Olyroos respectively. Arnold said he would have no problem with either of the pair lining up against his side at Allianz Stadium on Saturday night. The Antonis eligibility issue aside, Arnold has a few other problems to contend with ahead of the Victory clash. Marquee man Marc Janko and speedster Corey Gameiro are both unavailable on international duty, while skipper Alex Brosque is struggling with an ankle problem. Brosque started training with the squad at their Macquarie Uni base on Thursday morning but was forced to pull out of the session early, restricted to riding an exercise bike. Veteran defender Sasa Ognenovski (thigh) is also in extreme doubt but Arnold confirmed Kiwi international striker Shane Smeltz would definitely start in place of Janko.